Madame Tachibana – A paragon for the perverted. 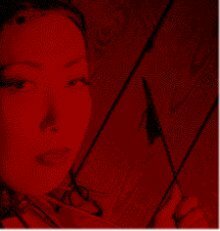 Mistress Kaori – meaning fragrance. A fragrance perhaps such a carnivorous plant might produce to lure. Distracted by her enigmatic beauty you’re unlikely to notice until too late that you’ve been consumed. Mistress Gerolyn – Educated and Elegant. ‘Gero’ in Japanese means vomit. Exhibits perfect control on spewing in to the mouths of slaves. Mistress Jigoku – Jigoku means “Hell”. Voluptuous and Merciless – She likes to be spiteful. Don’t you want to please her? Miss Mukade – Mukade is a centipede with a terrible bite. A beautiful Italian/Japanese with rare empathy as she enjoys subspace herself (so she MIGHT switch/bottom (ask)). Mistress Orochi – Orochi being a japanese hydra. Lithe and beautiful with a great sense of fun; you will long to suffer to gain her attention again. Mistress Raijin – (The Goddess of Thunder). Charming, petite & martial arts trained. To please, you could act as a punch bag or let her cane or beat you. ?